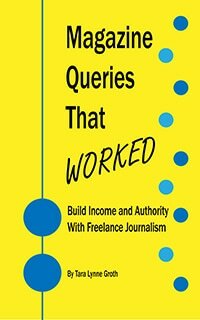 When I first started freelance writing on a part-time basis in 2009, I came across the American Society of Journalists and Authors (ASJA). I wanted to be a member. I did not qualify. I didn’t even have one magazine clipping in my name at the time. Nearly four years later I decided to revisit ASJA’s site last month and submit an application. Today, I received an email approving my membership! It’s not only a professional achievement, but a personal one as well. And what fantastic timing to be notified during Freelance Writer Appreciation Week! Do you recommend any organizations for writers? The ASJA 2013 Conference is April 25-27 at the Roosevelt Hotel in New York City. Hope to see you there! I am not a member of any freelance writer’s associations, but I should sign up for one soon. Thanks for suggesting this and congrats on your approved membership! Thanks, I’m hoping to do a post on popular writing organizations soon!